Aerodynamics In Drifting – Does Downforce Matter? 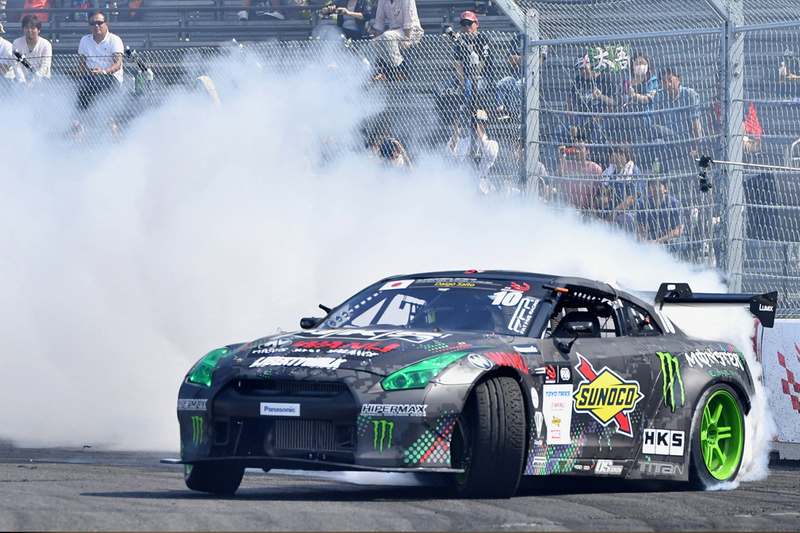 Home / Automotive / Cars / Aerodynamics In Drifting – Does Downforce Matter? Aerodynamics is a greatly debated topic amongst all forms of motorsport. Is drifting an exception? 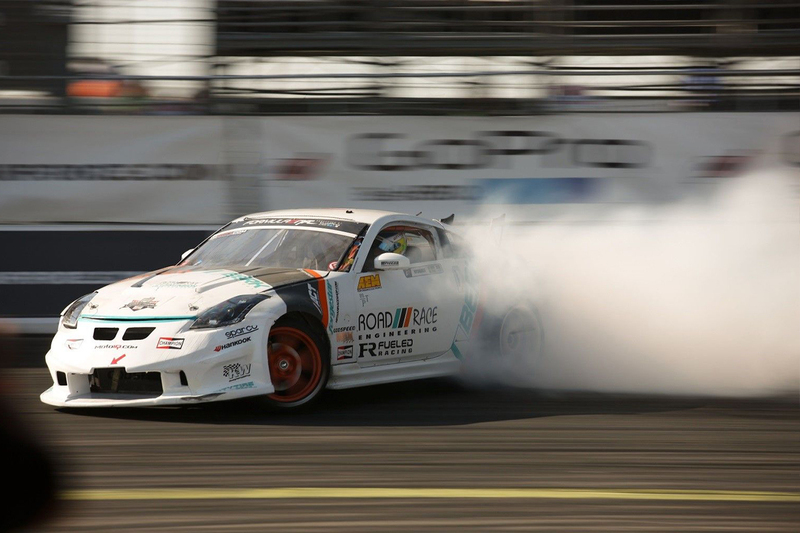 You might think that when it comes to drifting, aerodynamics doesn't play a big role. You might argue the fact that it comes down to engine performance and suspension setups only, but you'll be surprised. First, let's define what we're talking about here, specifically downforce. You go into any technical book to try and look up the term "downforce" and you'll quickly find it doesn't exist. While it's acceptable to say it to make things easier for the layman, the term you're looking for is "lift". And on the face of it, saying lift seems counterintuitive from what you're trying to achieve. However, no wing produces downforce, as all wings create positive (the upward motion a wing creates to get you into the air) or negative (the downward motion a wing creates when you need to dive) lift. Measuring lift is relative to the wing itself, so that's why you can have a negative and positive lift. Even though the vehicle is on the ground, it's still negative lift that is being utilised to put additional pressure on to the chassis and tyres to keep it planted to the surface. So, what we call "downforce" is technically "negative lift;" it's just easier to think of it as downforce. You're also not wrong for calling it that, just don't expect technical books to use the term. You can think of it as an upside-down aeroplane wing. There is more to aerodynamics than lift, though, when it comes to street and race cars. We must think about the inlets and outlets to allow air to pass through the body for cooling. We also must take air flow into consideration around the body of the vehicle itself to prevent wing stalling, a condition where the air no longer creates lift because too much air has separated from the low-pressure side of the wing (potentially deadly in flight and can be equally harmful in race cars at high speeds). The low-pressure side is the side where air flows over quickly, so it's top of the wing on aircraft while it's the underside of the wing on cars. When you get into a stall, the wing also begins to create drag because it's now acting more like a parachute than an airfoil – to simplify it. Wings that need to create lift generally have about eight to 20 degrees of angle before the flow separation is too great. Race car wings can generally get away with more before drag becomes a problem, usually not more than 24-degrees of angle. They can also increase the angle of attack by using multiple flaps on a wing to reduce the penalty of drag, that's the real reason we see multi-element wings on race cars. However, stalling a wing does have benefits if you do it right. Race cars can create wing stall with little drag to generate more speed in a straightaway by changing the angle of attack (instantly changing the wing's angle to the air, like Formula One does now with their DRS, or drag resistant system). Engineers have even found creative ways to redirect air from the body of the vehicle to create a stall without, or very nearly without, the penalty of drag – like the F-Duct by McLaren or the blown diffuser from Red Bull in Formula One racing. There is a competition train of thought and a road-going one for the engine, and the same can be said for aerodynamics. Thinking about how the air flows around your vehicle is critical to automotive manufacturers. The more we need to save gas, the more those engineers must find gains by reducing the strain an engine goes through to push the air around itself. While a Civic Type R has interesting aerodynamics to make it more competitive, Honda engineers had to also find ways to make it flow through the air. That air scoop on the hood cools the engine (well, not a lot), but it also creates a path for air to flow out of the engine bay and out of the body without putting a much bigger hole in the hood, like an Evo employs. A flat bottom car creates less drag so cars like the Toyota Prius use it to make it more efficient while driving at highway speeds. Those oval-shaped tailgate tops you see on trucks like the Nissan Titan, it's all to give airflow off the cab's roofline, a place to flow to and reduce drag. Even functional diffusers on OE-body cars like the Subaru WRX are made to enhance flow off the trunk and slip through the air better. A lot of those items sound like racecar technology – and some of it does trickle down from motorsports. However, to blatantly say the flat bottom under trays, wings, and ducts are all thanks to racing technology wouldn't be entirely truthful. Even the parts we take for granted in racing aren't solely from the racing world. Most of those items, for both racecars and OEM cars, are thanks to aeroplane engineers that adapted their ideas to cars, too. So, modern aerodynamics on your car or for your racecar come from a variety of sources and not just the world of competition. Now all of that's out of the way, we can get back to the point of this article. 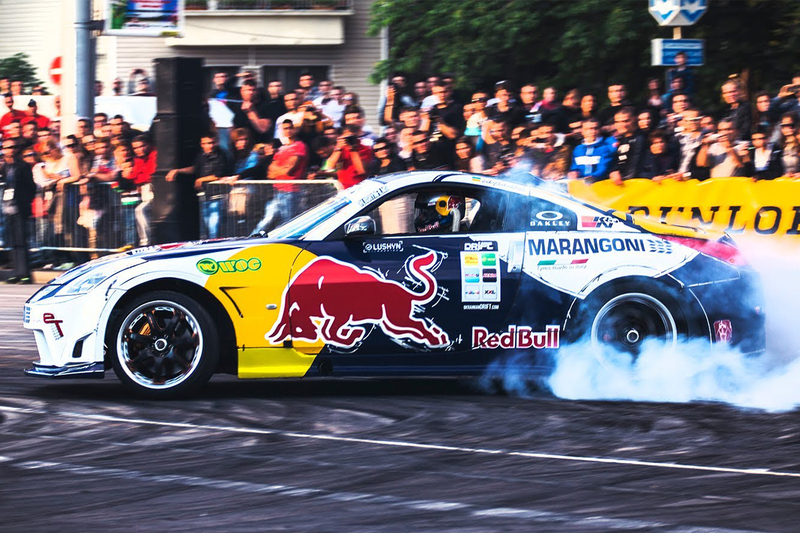 How does aerodynamics play a role in drifting? Well, currently, not much. Actually, let's rephrase that answer. Cars designed to go drifting don't really approach aerodynamics in the way time attack or wheel-to-wheel drivers do. However, going sideways and making downforce is something of an interest to aerodynamics experts like Andrew Brilliant of AMB Aero. Those of you in the time attack world probably know that name well, but for you drift guys, Andrew is the guy who people like Under Suzuki and HKS approach when they need to set new records at Tsukuba, Fuji Speedway, or at the World Time Attack Challenge. "Aero in yaw" is basically referenced in air flow as the car starts going perpendicular to its forward motion, if you didn't understand that. For example, "if you wanted the car to have front downforce in yaw, or less front and more rear in yaw, or even to only have downforce in yaw but none in a straight line or vice versa; we could make it do any of those things." A lot of this has come from Formula One and Prototype Endurance Car Racing and the rear spine you see running down those engine covers. Turns out, some downforce can be found if you stick a shark fin on the centre of the car and drive it around a corner. Air is still trying to go in a forward motion, but the car is at an angle, so the shark fin acts like a wing. That's oversimplifying it, by a lot, as the shark fin does more than that but, hopefully,it helps visualise the point. As we know, teams will do what they can to gain an advantage over their fellow competitors. So it's the job of a sanctioning body and their technical director to make sure the field is as level as possible. That job for Formula D lays at the feet of Technical Director, Kevin Wells. For the 2018 rulebook, one thing stood out: the limitation on wing standoffs and where they can be used. Was this for aerodynamics? No. "My main concern in regards to aerodynamics is safety," said Kevin, "On the tracks, we run aerodynamic devices, such as GT wings, which pose a safety risk due to their close proximity to walls and fencing. In the past, we have had GT wings come off and hit the vehicle and drivers of the following car. We have had some wings rip down signage and damage the frame supporting them which causes delays in the event. The above are the main reasons why in 2018 we changed the rules and do not allow GT wings or wings on standoffs at the majority of our events." He also recognises there could be some usefulness to maximising aerodynamics in drifting, too. "I think aero can be a useful tool in drifting, but it is all about compromise." He gave us a couple of examples, "Our courses have high- and low-speed sections. Can you add aero grip in the high-speed section without having to reduce mechanical grip? If not, then you are probably losing overall in the lower speed sections. If you happen to knock the wing off in tandem, how much does this affect the balance of the car? How will your next run be without it? I believe the above questions regarding vehicle stability and constancy have led to the reduced usage of the GT-style wings of years past in the PRO class." Will we ever see an aerodynamically optimised drift car? The way things are looking now, possibly not. The root of the problem is the unique nature of drifting itself. The car is purposefully driven in an extreme yaw angle with tyres that only just keep some grip to maintain the car in a forward motion. While it's theoretically possible to be able to generate downforce at the speeds and angles these cars see, practically speaking it's not something that's a concern and is just another part to break and stop working at the wrong moment. It doesn't mean we won't see it. Once teams find that maximising the mechanical grip of the chassis has finally hit diminishing returns, aerodynamics will begin to play a role. However, as tyre and damper technology continues to progress, that might be several years down the line. To say the aero drift car isn't coming is foolish, but to say we'll see it tomorrow is just as foolish. 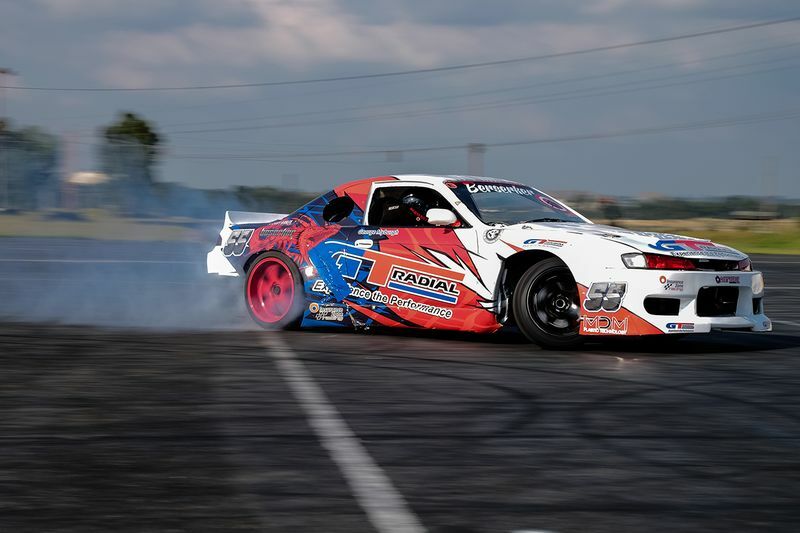 Article Tags: Aerodynamics Drift Drifting NDS National drift series Formula d Sxdrv Tech Technical Aerodynamics in Drifting – does downforce matter? Video: Back 2 Basics. Drifting At The Most Awesome Circuit In The World, Ebisu! Video: Drifting Lessons With Ken Block! Video: How To Manji On The Street, Drifting 4 Lanes Wide! Video: How It's Made - Making A Burrito At 100mph - Drift Style! Video: Speedhunters Presents Tokyo Street Life - The Underworld Of Illegal Drifting. Video: What Better To Do On A Snow Day, Than Go Drifting With Your Monstrous Audi Rs4! Video: Chris Forsberg Kills Some Tyres Drifting Up A Narrow Road Through The Woods!